A blog that’s caught my eye recently is GasCap, run by Spaniard Alex Ramon. 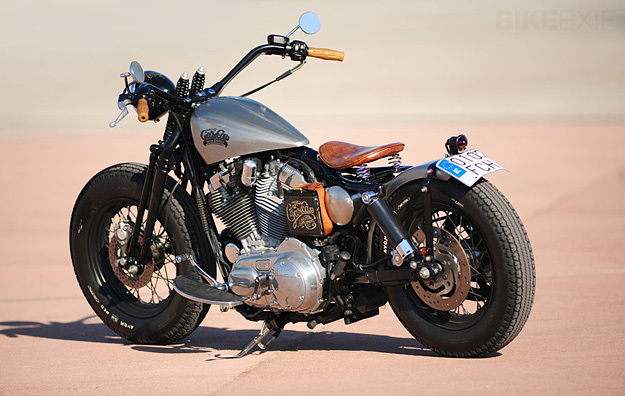 Alex has now sent in details of his Sportster bobber, built by Lluís Ibañez Casabon of L.A. Motorcycles in Barcelona. 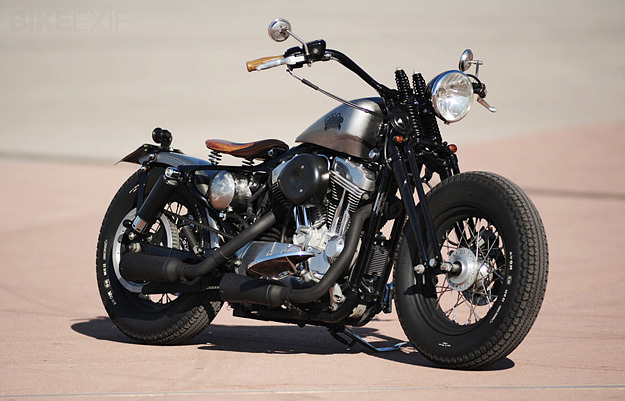 I’d never have guessed, but this machine is based on a 2006-model Sportster 883 Low. 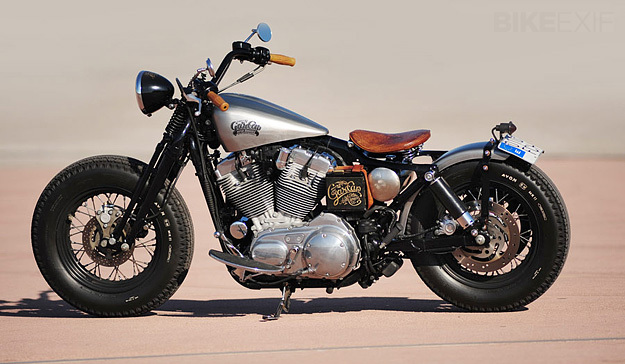 The retro bobber flavor is helped by a custom tank from Salinas Boys, pre-War Harley VL style springer forks, and a matching Phantom headlight. 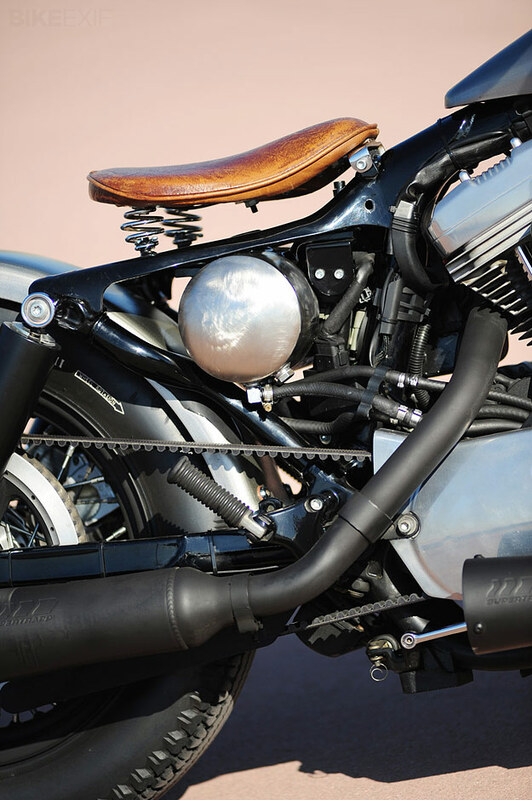 The rear suspension is considerably more modern, with 11” shocks from Progressive Suspension, nestling alongside a “Flat Bob” rear fender and a replica pre-War taillight. 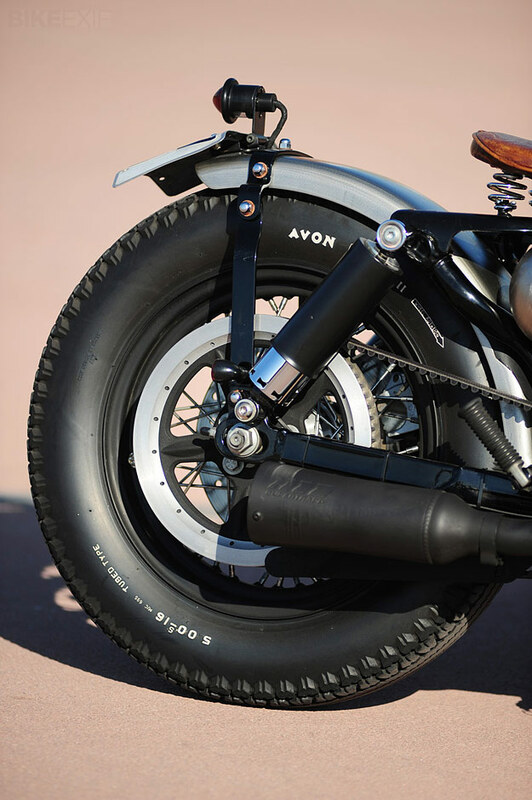 Avon Speedmaster tires on 16” rims complete the look. 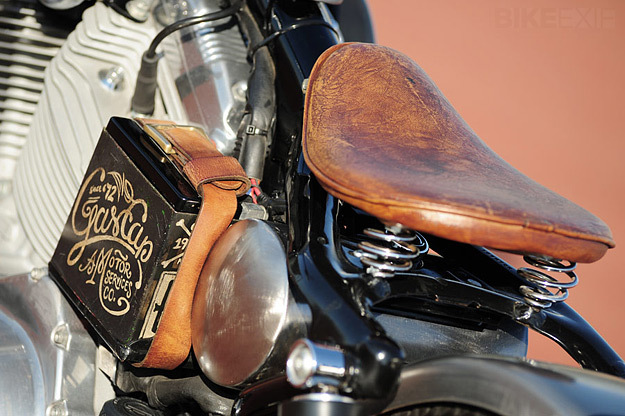 With only the grips and leather seat providing a touch of color, it’s clean and understated. Muy elegante, don’t you think?